Dead Space 3 released way back in 2013, and it didn’t exactly set the world on fire. What started out as an incredible sci-fi horror series ended on a crushingly average note that seemed to convince publisher EA that it was to best to leave the franchise behind. The years that followed would be a fairly rocky ride for developer Visceral Games, culminating in EA shutting the studio down in 2017, handing off the Star Wars game it was working on in the process. A game that was itself ultimately canned. Despite the fact that Dead Space is but a distant memory to mainstream audiences, the majority of gamers and horror fans will never forget the sickly thrill of exploring the first game’s abandoned outer space mining rig, taking apart ancient, alien horrors with grim determination. 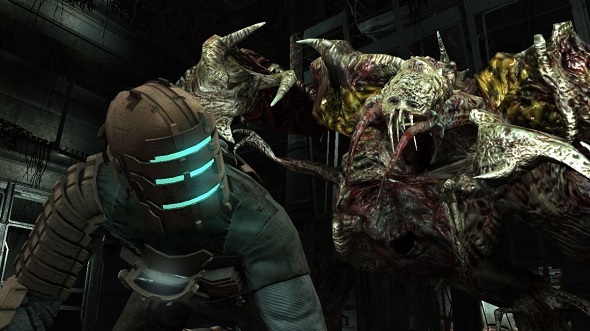 Both Dead Space and its sequel were claustrophobic, beautifully paced masterclasses in how to scare the absolute crap out of people. Dead Space 2 was arguably one of the last truly great survival horror games before Resident Evil 6 killed the genre stone dead for a few years. In recent years, survival horror has made an incredible comeback. Alien Isolation proved that there’s still an appetite for the fusion of sci-fi and horror, while games like Outlast and the PT demo inspired an incredible return to form for Resident Evil, as both 7 and the recent remake of 2 easily rank among the best of the classic Capcom franchise. 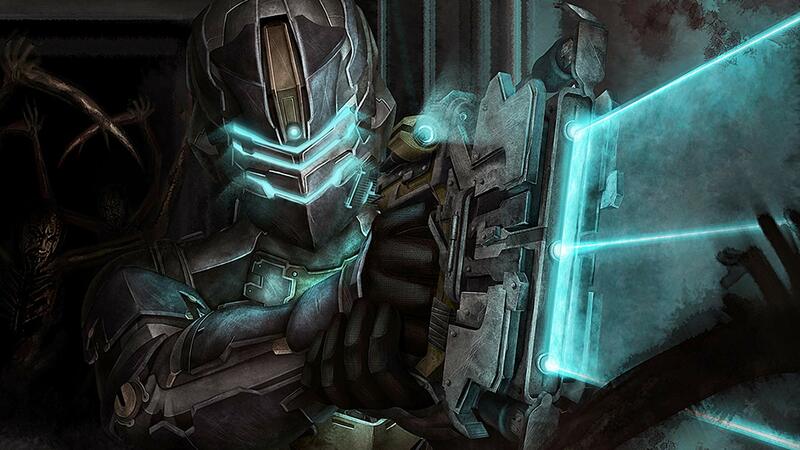 But while the genre as returned to terrifying form, we still have no idea if we’ll ever see another Dead Space. Given what EA did to Visceral, it’s certainly not the most likely scenario. Thankfully, we have Negative Atmosphere, a new sci-fi horror shooter from developer Sun Scorched that’s inspired by Visceral’s work in the best possible way. The game was shown off at EGX Rezzed last week, and you can check out the demo below. If Dead Space were still around, I’d argue the narrow, blood soaked corridors and industrial feel to the whole thing are just ripping Visceral off. Instead, I’m just glad to see a new team carrying the torch. 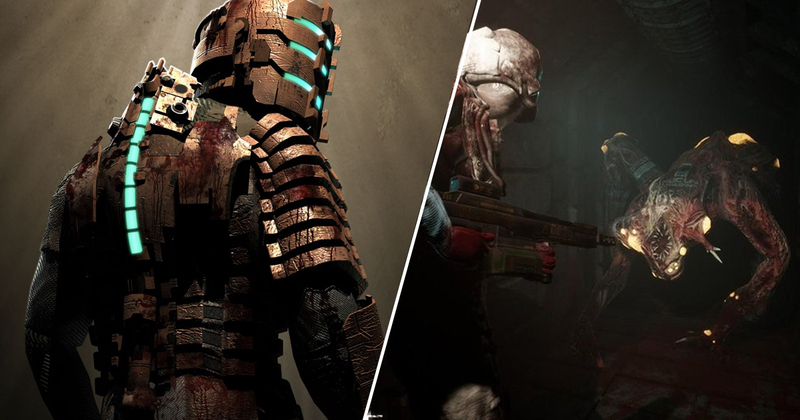 The game does look like more of a traditional shooter than Dead Space, as the hero seems to be using an assault rifle rather than the laser cutter favoured by Isaac. Still, the claustrophobic setting looks like it could make for a truly intense experience. The impressive demo was actually put together in just five months, and the team is currently using Patreon to fund the project. Once there’s a playable demo, the plan seems to be to take it over to Kickstarter to continue funding. It’s been far too long since we had a proper sci-fi horror game. Even Alien Isolation was released over five years ago now, and there’s as much sign of a sequel to that as there is a Dead Space 4. Had a fourth Dead Space game ever happened, I think we can all agree we would have wanted to the franchise to go back to basics. Just look at how well that worked for Resident Evil 2, which is absolutely hoovering up commercial and critical acclaim. If Sun Scorched can find the right balance between engaging combat and that occasional sense of powerlessness and creeping dread that every classic horror game has, then Negative Atmosphere could be the Dead Space sequel we’ve so desperately craved for the longest time.